To Veil or Not to Veil that is the Question! As far back as the first century, women complemented there wedding tunic’s with bright yellow or red veils to fend off evil spirits. By the early 19th century, head-covering cloths made of intricate lace popularized by the European elite had come a must have for the American society weddings. The longer the veil the wealthier the family. Today there is countless options and lengths. 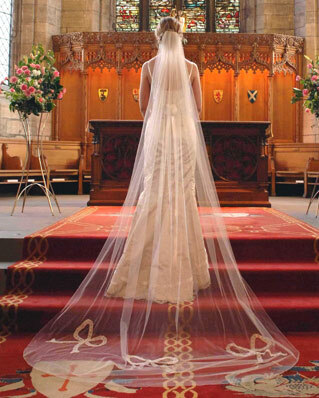 A veil can make a dramatic difference in transforming the simplest dress into a stunning bridal outfit. Wouldn’t it be fun to scout for the set design of the television hit show Mad Men? With that show the vintage look has become more appreciated and popular. Here are several pieces that take you back immediately to a different time. 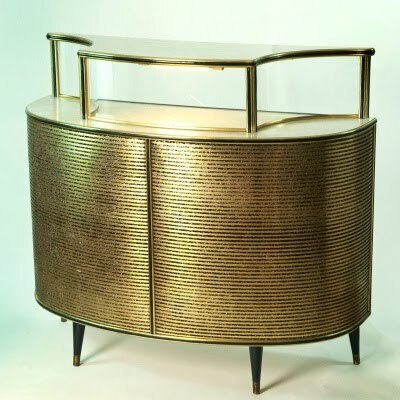 The gold and black finish on the vintage cocktail table is a Mid 20th century design and the telephone is from the 1940’s. 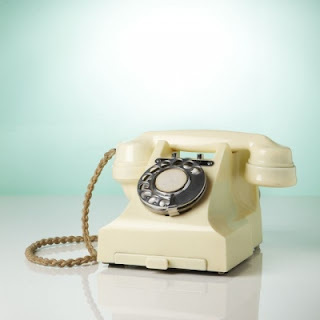 Check out the pullout drawer on the telephone to hold your favorite telephone numbers!! 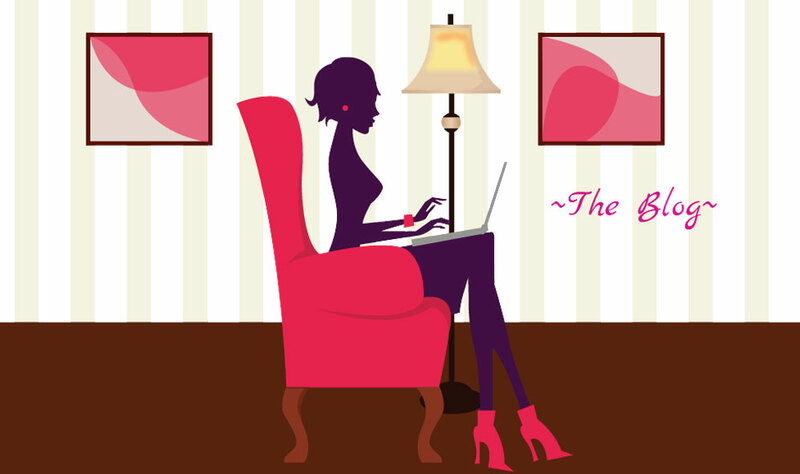 I will be off the blogging circuit for a few days as I will be celebrating Thanksgiving with family and friends! Wishing everyone a memorable Thanksgving. As far aback as the first century, women complemented their wedding outfits with bright yellow or red veils to fend off evil spirits. For years brides were modestly cloaked in veils, which the Romans believed symbolized fidelity and purity. Many centuries later veils made out of beautiful lace popularized the elite in Europe and America. It was thought the longer the veil, the wealthier the family. Today the veil is a statement more of personality not status. The veil can make a dramatic difference in transforming the simpliest dress into a stunning bridal outfit. Just released today, November 16th features over 350 photographs and shots from Barbra Streisand’s Malibu home!! 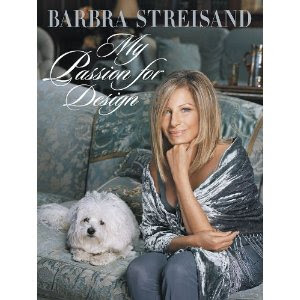 Barbra didn’t want to write a memoir so this is a peek at her through her design to see her style and taste. 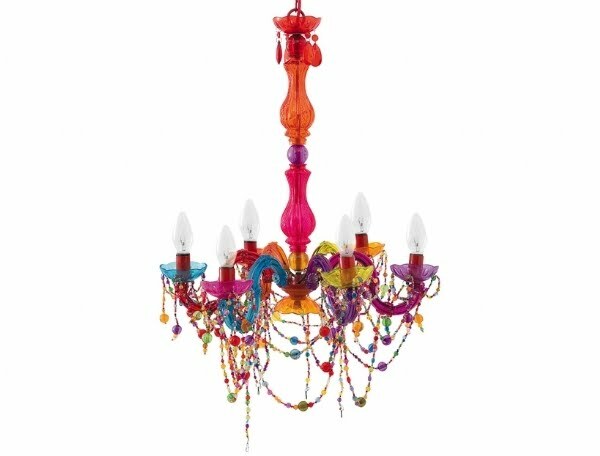 This colorful, outrageous chandelier makes quite the statement in a room! There is a smaller version as well for lower ceilings and two light wall sconces. 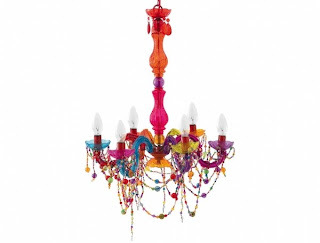 If you are looking for drama and making a statement this is the chandelier for you! It’s always fun to do the unexpected! 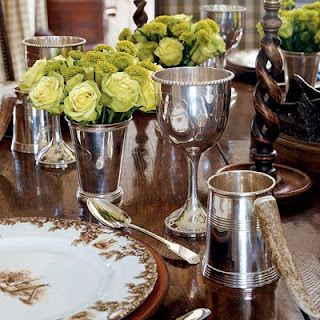 There are certain occasions were we really want to pull out all the stops to create a memorable setting. The holidays are a perfect time since that is when many of us do most of our entertaining. 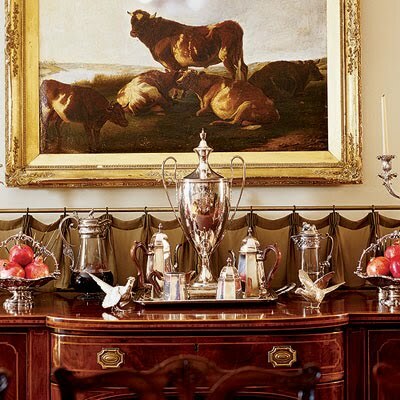 I love having the sparkle of silver on the table and am not sure why I’m so intrigued with antique trophies but I love to use them as vases or all together in mass. I also have silver wine goblets and just put a hydrangea in each one and have them marching down the table. So get the sterling polished and use it all!! 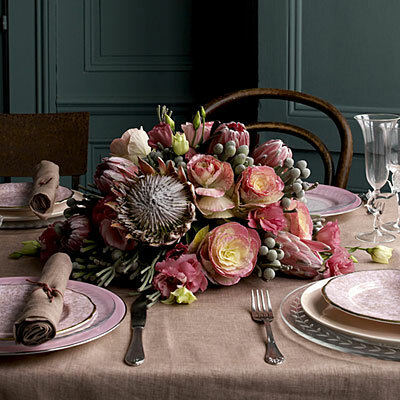 Floral designer Jane Packer is known for arrangements that are rooted in simplicity but never stiff or staid. I normally wouldn’t use bromeliads in an arrangement but this one is fantastic. Jane began her career with a small flower shop in London’s West End and eventually launched flower schools in New York, Tokyo, and London. For those not lucky enough to attend a four-week course in person, her book Jane Packer’s Guide to Flower Arranging is the next best thing. Divided into three parts (Flowers to Give, Flowers for the Home, and Flowers for Celebrations), the book covers everything you need to know to achieve professional-looking results, no matter the occasion. Picking the Perfect Hostess Gift! We are entering the giving season on so many levels…giving of our time, money and energy! A wonderful gift that keeps on giving is Kimberly Schlegel Whitman’s Tablescapes book …Setting the table with Style. What is wonderful about this book is it has many creative ideas for all occasions not just Thanksgiving and Christmas. Anyone who entertains would appreciate this gift as it will give them ideas for their next dinner party, buffet or gathering. The photographs are beautiful and inspiring and it is easy to pack if travelling. Other hostess gifts to consider are personalized stationary or a handwritten note stating the donation you have made to a charity on their behalf. Of course a bottle of wine is always appreciated but let’s try and be creative in your giving this year. Let me know of your hostess gifts that were a big hit! !